‘Paradise Lost’ is one of the most celebrated texts in the English language not because of its author John Milton’s stated aim to “justify the ways of God to men,” but because of the character of Satan. He’s the alluring protagonist of the epic poem, who gets all the best lines and is a far more appealing figure that the more pious, comparatively two-dimensional other characters. “The reason Milton wrote in fetters when he wrote of Angels & Gods, and at liberty when of Devils & Hell,” opined William Blake over a century later, in a now famous comment on the apparent contradiction between Milton’s purpose and his execution, “is because he was a true poet and of the Devil’s party without knowing it.” Sure, Milton might have believed himself to be expressing the glory of God, but subconsciously he couldn’t help but immortalise Satan and his all-too human rebellious instincts, the very thing he had set out to condemn. 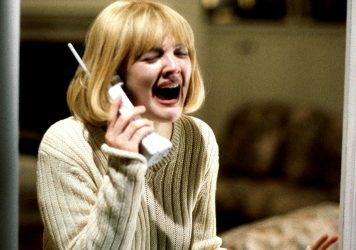 The same can be said for Michael Haneke’s meta home invasion horror, Funny Games, which premiered at the Cannes Film Festival 20 years ago. The devil in this case is violence in the mass media, and slasher films in particular, which Haneke deemed to be both morally reprehensible and pointless. Yet in making what was intended as a dour satire of violence as entertainment in popular cinema, the German director inadvertently made an exemplary horror film – one that shocked its audience in much the same manner as the films he was chastising. The plot is pared down and simple. A middle-class Austrian family comprising of Georg (Ulrich Muhe) and Anna (Susanne Lothar) and their son Georg Jr (the two names often used by Haneke) travel to their holiday home in the country. There they encounter two young neighbours, Peter (Frank Giering) and Paul (Arno Frisch). At first they seem polite and innocent enough, but upon being invited inside gradually proceed to terrorise the family, initially imposing themselves beyond comfortable social custom before eventually assaulting, taking hostage and playing sadistic games on them. The escalation of events is horrifying to behold. The performances and tone of the film are unusually naturalistic, with the pace slowed down to fit the mundane rhythm of everyday life, and there’s a distinct lack of the kind of cinematic artificiality commonly found in horror cinema. Haneke is a master of technique, and he shoots everything in this film with a cold, clinical eye, building unbearable tension as effectively as anything in the genre. Yet Funny Games is far from being a straightforward exercise in genre filmmaking, as is made clear by its notorious fourth wall breaking. The first instance of this occurs when Paul, subtly and in extreme close-up, winks sinisterly at the camera. Later on the two villains totally obliterate the boundary between on-screen character and audience, as Paul and Peter directly address the viewer, asking us what we think is going to happen. It’s distressing to witness, and serves to highlight the academic purpose of the film – to startle the audience out of its narrative spell by showing how fake the whole thing is, and to call us out on our complicity in the characters’ pointlessly sadistic behaviour (and what Haneke sees as irresponsible and gratuitous violence in mainstream cinema). What Haneke failed to understand, however, is that anyone who stays until the end is not doing so out of apathy towards the victims, but rather out of empathy. 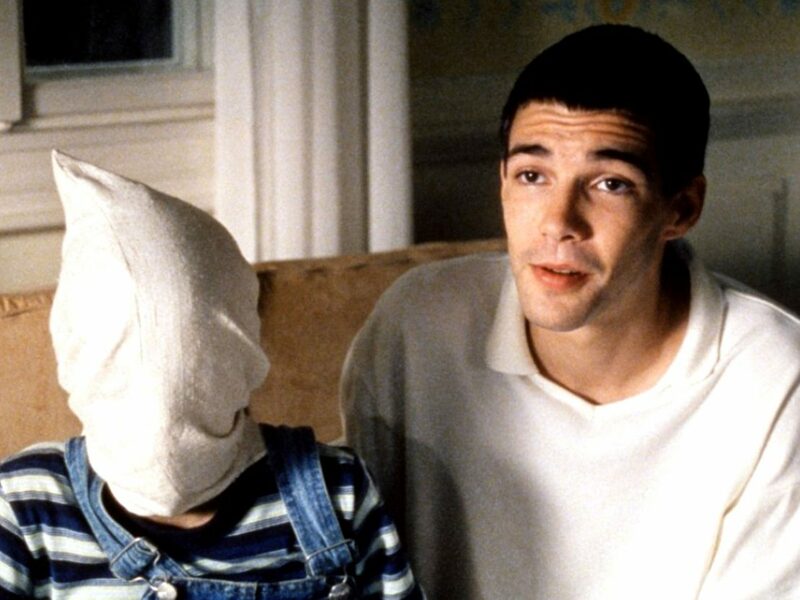 The film’s naturalism ensures that the characters come across as real people experiencing real fear and real grief, so that the experience of watching Funny Games is akin to the victim’s suffering. When, in a moment of startling audaciousness, Paul fixes a mistake in the villains’ plan by using a remote to literally rewind the film, we don’t feel less sympathy for George and Anna due to suddenly becoming aware of the film’s artifice; we’ve been aware the whole time of the film’s fictionality, but have become emotionally invested nonetheless. This rewinding scene may be Haneke’s way of prompting us to ask ourselves why we are watching, but it is also an example of great horror technique: much in the same way as the sight of Freddy Krueger’s tongue poking out of a phone blurs the physical world with that of our worst nightmares, the ability of the characters in Funny Games to manipulate reality only make them more powerful and terrifying. A Nightmare on Elm Street may have been designed to be consumed while mainlining popcorn, whereas Funny Games works best in the stony silence of an art-house cinema, but that doesn’t mean the fundamental techniques of the filmmaking on display – and the audience’s appropriate response – aren’t the same in both cases. Haneke is so good at cultivating fear that it’s hard to believe that, when making Funny Games, he wasn’t indeed subconsciously in ‘the Devil’s party’. 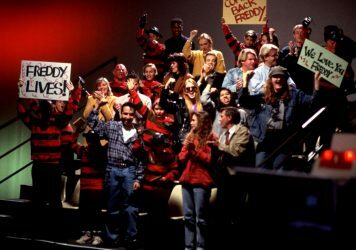 Have we become the audience in Wes Craven’s New Nightmare? The director’s satirical 1994 horror explores what happens when society embraces its worst monsters.